PROGRAM SPEAKER OR WORKSHOP PRESENTER! Creator: Peak Engagement & Performance Coaching. Walking in Honor ProgramTM. A former abandoned and foster care child, Hall spent many years overcoming adversity in the form of child abuse, hunger and negligence. His experiences has strengthened his commitment to helping others overcome obstacles and barriers to successful living. Through his interest, work and proficiency in the fields of communication, humanitarianism, speaker and consultant, Hall has been described as a dynamic, passionate, highly informative and exceptionally professional leader and motivator. 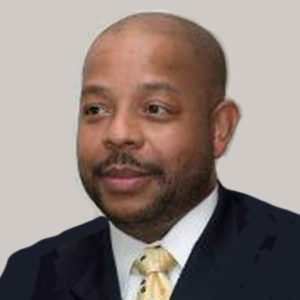 Hall began his career with municipal government and later worked for the Philadelphia School District. In 1997 he founded Amongst Men Inc. (AMI) Mentoring Services. AMI provides unique programs that support children in personal, social and career development while encouraging self-efficacy, moral responsibility and hope. Hall has served as a President of the Home & School Association, and worked with the Martin L. King, Jr. Association for Nonviolence. He is also a proud veteran of the United States Marines Corp and is the recipient of numerous humanitarian awards and specialized certificates. Hall has recently completed an Executive Non-Profit Leadership Program. Enthusiastic and self-motivated, Hall is confident in his ability to convince others in the belief of positive action for maximum results. He is mentally creative. By acknowledging his emotional intelligence, he is able to rely on insights for guiding youth and families towards the best course of action. He possesses a wealth of ideas and has an innate ability to perceive and anticipate future possibilities. Therefore, he is able to focus on individual and community verbal and behavior interactions and determine their authentic meaning. He can evaluate family and society needs and is always willing to offer his expertise to assist others. He is able to improve the overall attitude of youth and adults and encourage them to set immediate and long range goals. Mr. Hall has garnered lifelong gratitude from the children and families he has impacted throughout the years. His personal inspiration is in developing children’s potential, career awareness and encouraging their growth through mentoring and coaching. Mr. Hall taught me that greatness is within all of us and that people are such amazing beings. They can be much more than they are and that you can be successful. He always speaks powerful words. Robert Hall has been vital in the maturation and success of the young men here at William Penn H.S. Through his leadership, programs and resources, Mr. Hall has transformed many of the lives of the young men he has worked with and mentored.